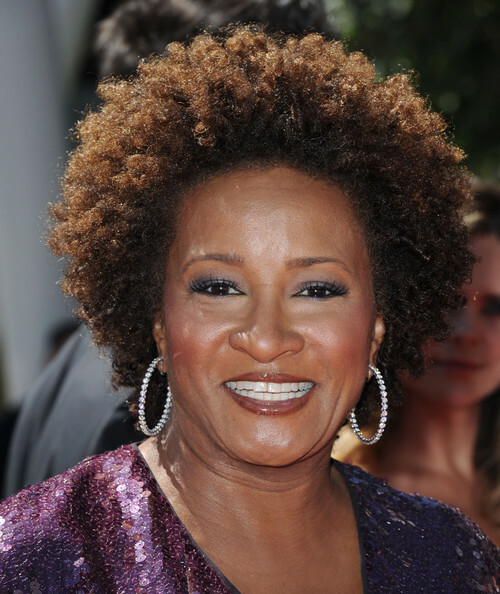 *Wanda Sykes has joined the growing list of celebs publically trashing Donald Trump in the wake of his controversial comments about President Barack Obama. She added that she refuses to watch Trump’s NBC reality show, much less ever appear on it. Trump has repeatedly questioned Obama’s birth certificate as well as his grades. Among those who have spoken out against the real estate mogul are Jerry Seinfeld, Robert De Niro, Whoopi Goldberg and CBS News’ Bob Schieffer. Good for her, more AA celebs should be more outspoken against all fo th things Trump has said about Pres Obamaa nd the obvious lack of respect. This show was previously recorded…they can’t come down now on Star, Lil John and the others who were on it. Even if one of them appears on the finale show (which I think is live) they are contractually obligated. Now what black performers choose to do from this point on is another story.